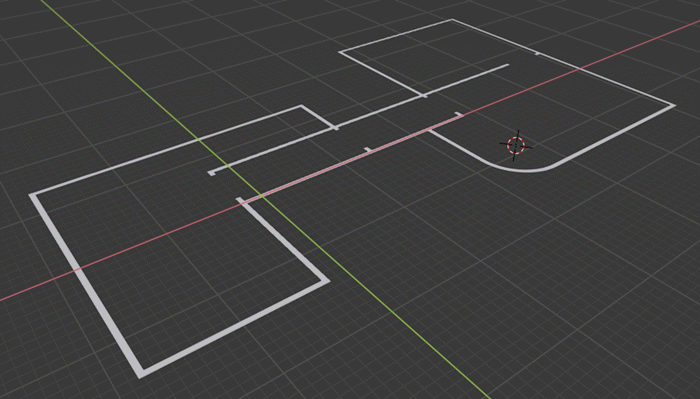 Blender 2.8: How to render strokes for architectural documentation? Here in Blender 3D Architect, we use Blender as our primary tool for visualization and sometimes even for technical documentation. 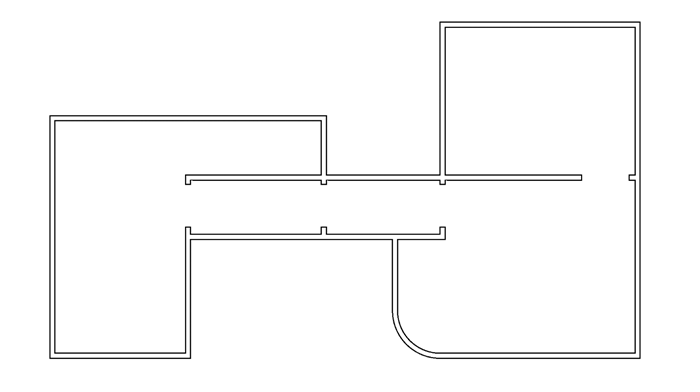 You will find several articles about how we take advantage of Freestyle to render floorplans and other types of documentation for architecture.  It does not offer the same amount of tools and options of a dedicated CAD/BIM package like BricsCAD, AutoCAD or Revit. But, you can create some quick sketches and work some ideas straight from 2D to a full render in minutes. We even have a full course describing the technique to make those types of drawings in Blender. Part of the process involves using a trick in the Render Layers options to get only the strokes of a drawing rendered with Freestyle. Since Blender 2.8 redesigned the way Render Layers works, we also had to change the settings to render architectural documentation. Let's see how to render this simple walls in Blender 2.8. How to render that in Blender 2.8? The process is simple and involves using Cycles as the primary renderer, but since you only need the strokes of 3D shapes, you can set the samples to only 1 to get a “real-time” effect. 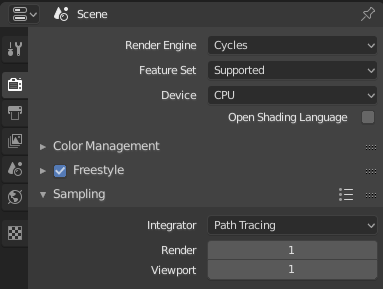 Enable Freestyle in the render options. 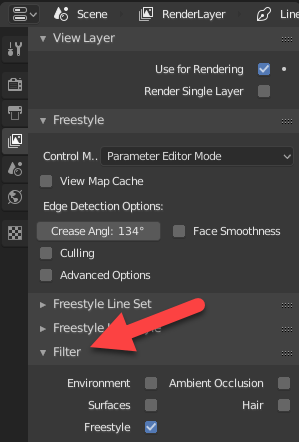 Go to the View Layer settings and there you will find the Freestyle options where you can add a stroke to any object in your 3D View. Besides the FreeStyle options, you will also see the Filter. There you will uncheck everything but the Freestyle, which will make Blender render only the strokes. At the Passes options uncheck both Combined and Z. Once you do all preparations, you will be able to render only the strokes of a scene. A few notes about the process at this stage using Blender 2.8. 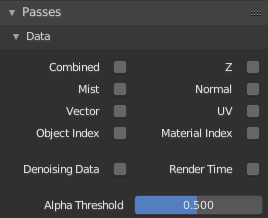 I'm not sure if that is due to the fact Blender 2.8 is still in Beta, but sometimes you will have all settings ready for render and Blender won't consider anything you changed in the viewing layers. Almost like if you hadn’t made any changes. When that happens to me, I save the file and close Blender. When I open that again all options previously unchecked are turned on again. Like if you didn’t touch them before. Repeat the process, and usually, it works. If you want to take that to the next level, you can even mix your architectural documentation with Eevee renders using the composite options to create some fantastic views. Thanks for the article and the floor plan which is similar to my place but I hadn’t been able to find a Floor plan like it. Drawing one myself has been problematic.